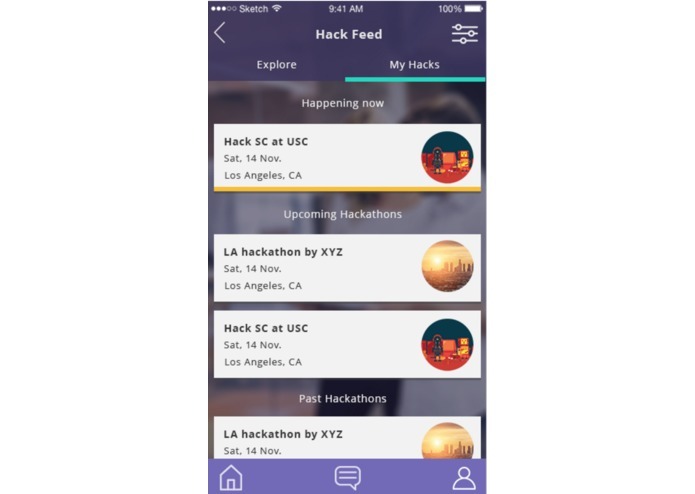 WeHack makes hackathons simple - seamlessly find teammates with the exact skills you need, explore teams, and more. While brainstorming innovative ideas that would resolve a real-world problem that a wide variety of people face, we suddenly stumbled onto the difficulty of arranging teams and exploring teams. Currently, the typical way of exploring other potential team-mates and teams is through tedious Excel sheets endless with postings that ultimately end up all looking the same. 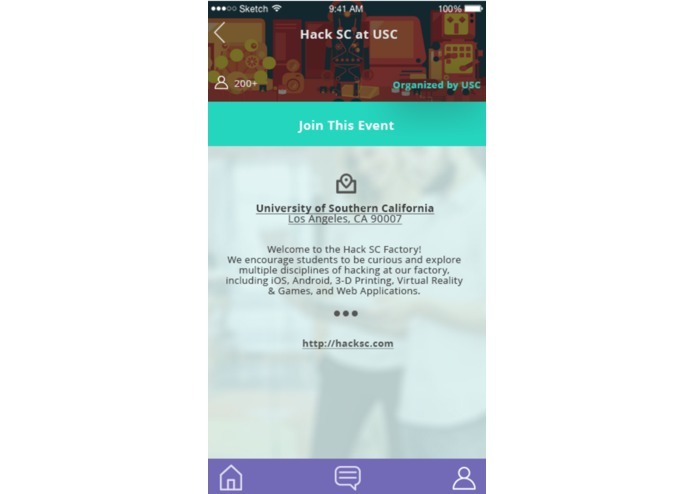 WeHack resolves this problem, and includes several additional features to simplify the hackathon experience for users. WeHack serves as a platform for teams to find additional team-mates based on their desired skills seamlessly, by allowing them to search for the exact skills and interests they're looking for. Likewise, hackers can research the teams, their current members, as well as their tech stack and project idea. There's also a bulletin board that the admin of the hacker event can use to give announcements, with each having location attached as well for easy reference. This becomes especially useful for those attendees who are new to the locality. 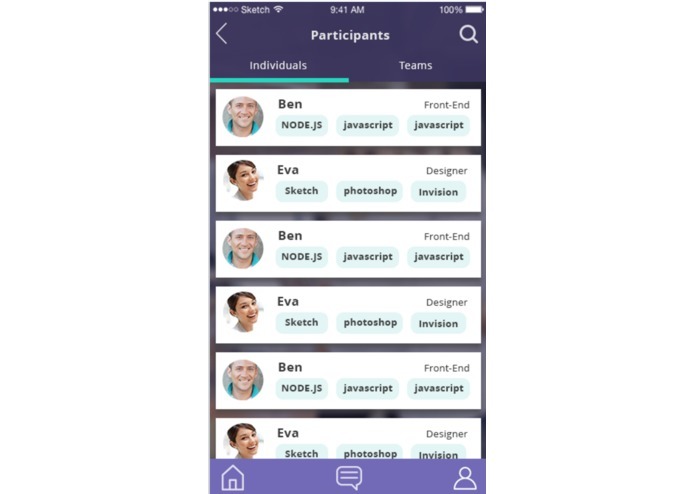 The application has built-in messaging for seamless interactions and discussion in order to arrange the optimal teams, as well as ask questions to those who are familiar with a technology you have a question regarding. Once the event has been completed, students can leave quick feedback, out of 5 stars, and a few lines for the admin. In addition, they can leave their Github URL, allowing all other teams to view their project and its implementation online, further reinforcing the mutual-learning aspect of hackathons. We built it using Swift for the iOS application and back-end in Node.js with MongoDB for the database. We wanted to ensure the UI and UX of the application had priority, and this is evident throughout the application. However, doing these things in Swift overnight was extremely time-consuming, and we were not able to fully implement all of the features we had on our roadmap. We're proud of developing a solution to a real-world problem that many hackers face. Throughout the process of the application, we made sure to read and understand Apple's UI/UX design principles in order to optimize the experience of the application. Each and every button has been carefully thought out in order to ensure ease of use, and the back-end API is robust. It takes more than one night to build a quality iOS Application with a great UI/UX. However, I was able to get a prototype built rapidly. We can completely implement all of the features we had on the roadmap for the application. 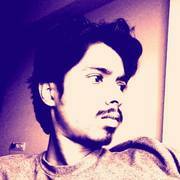 I wrote a backend RESTful webservice written with Node, Mongodb and Angular JS.